Supreme coverage for a short lap around the neighborhood or high-intensity intervals. 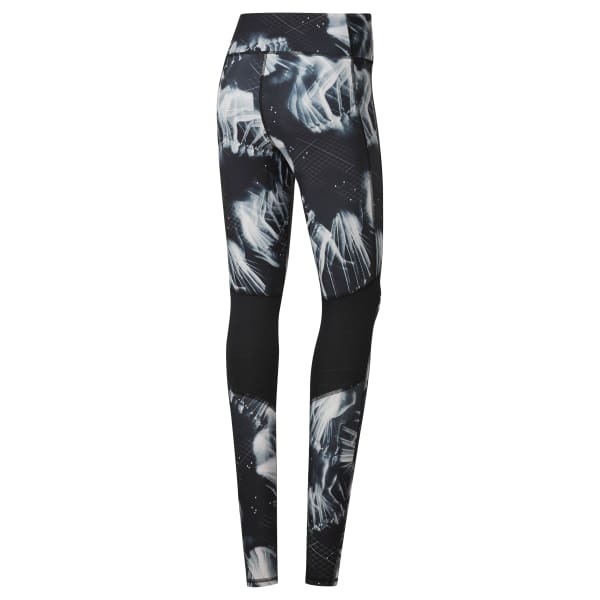 These women's fitted running tights have strategically placed mesh panels for breathability and ventilation. An inner pocket provides a safe place for small essentials, while the drawcord at the elastic waist offers an adjustable fit. A reflective Reebok logo adds visibility.